Marie from Make and Takes shares so many easy and fun ideas for kids. 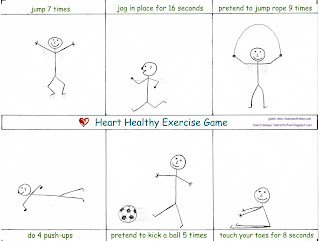 Last year I saw her Heart Healthy Exercise Game and knew it would be fun for my daughter's 2nd grade Valentines party. I wanted each kid to have their own game board. My husband drew simple stick people for me because I don't draw, not even stick figures. I printed the game boards on card stock. Just like Marie shows I cut out little felt hearts and hot glued them leaving a 3/4" opening. 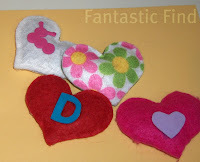 I took felt and fun foam scraps for the kids to decorate their beanbag before filling it with beans or rice. The beanbag activity was first and then the game was played in group rotations. At the end of the party the kids had a fun game to take home! 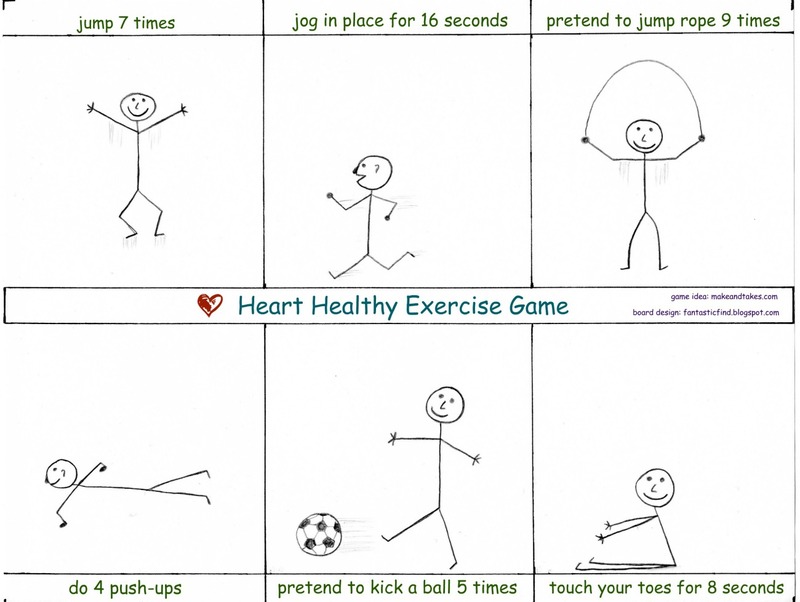 Here is my redesigned Heart Healthy Exercise Game board. If you would like to download it for free click the link below the image and it will take you to google docs. Love it! Need ideas for indoor exersise. :) Pinned it! This printable is perfect! Thanks for sharing, and glad you had fun with this activity!